Pondemonium 2014, "Reach For The Stars", Everything is Changing! Pondemonium 2014, hosted by Aquascape Inc., happened August 18 thru 23 in St. Charles, Ill and the Chicagoland area; and what a happy event it was. 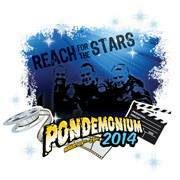 Pondemonium’s theme this year was “Reach For The Stars” and what an appropriate theme it was! Pondemonium was a SOLD OUT event this year with over 500 pond and water garden professionals with backgrounds from pond and water garden contracting, retail, wholesale and distribution; streaming in from around the world with representation from Australia, England, Bahamas, Mexico, Ireland, Canada, and from every corner of the USA. You could call it a convention, but in many ways it is a gathering of a tribe, it is a family reunion, it is a place to meet new professional contacts and friends in the industry and create some lasting bonds for yourself and your business. As one has come to expect, Pondemonium 2014 delivered with the usual highly organized event with great accommodations, food, and transportation for the event. However; this year’s Pondemonium was a new format, making it a week long event. Pondemonium kicked off with rookie and foreman training from Monday through Wednesday. The training offered hands on workshops, building opportunities, classroom training on everything from how to run a job site and interact with customers to evaluating and bidding on projects; and of course the 20/20 system that has launched numerous pond businesses around the world. Hands on training and classes were taught by the best in the industry, Ed Beaulieu and Brian Helfrich. As the week progressed the pond professionals just kept coming in! Wednesday evening was a special dinner and networking event for Aquascape’s “Top Frogs”. Thursday was an adventurous pond building project for the Certified Aquascape Contractors at McCannon Farm. The McCannon Farm property is for corporate and private events, but also holds outreach for the developmentally disabled. It was a build that had pond contractors dodging raindrops and lighting but the amazing team got the job done, and in grand style! A beautiful pond and massive waterfall display was running by the end of the evening which transitioned into the official Pondemonium Kick Off Party, with some great music by a few of Aquascape Inc.’s employees!Friday and Saturday was the time to really jump in and get soaked. Starting early in the morning with “coffee cup roundtable discussions” pond professionals had a multitude of topics to choose from and learn about from other pond professionals. Marketing, sales, admin, and “how to” talks started the day. Keynote speakers followed the morning’s roundtables with Greg Wittstock, The Pond Guy on Friday and Navy Seal Jim O’Connor on Saturday morning. Professional workshops on internet and retail sales, marketing, operations and maintenance, personnel management, new pond products, and fish care rounded out the agendas.The big excitement at Pondemonium 2014 is of course the new reality TV show, The Pond Stars, on Nat Geo Wild which is premiering on September 9, 2014. The pond and water garden industry is in for a big shift, and yes indeed, everything is changing. You can literally feel the excitement over this new show and what it means to the pond and water garden industry. There is a new energy among pond professionals, knowing that our time has come! Ponds and water gardens are about to become very trendy and we all need to prepare. Find a viewing party near you for the premier of The Pond Stars!! Pondemonium 2014 was probably the best Pondemonium event yet! In typical form the event closed out with Ed Beaulieu’s Beer Garden Blow Out Bash, which followed the Aquascape Top Frog awards. 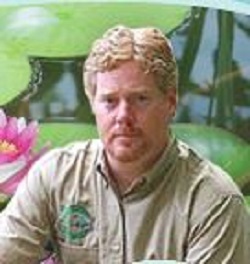 The top 100 pond and water garden pros were recognized. This years Top Frog highest honors went to Alden Zove from Cedar Run Landscapes out of Pennsylvania for Conservationist of the Year, Jaak Harju from Atlantis Watergardens out of New Jersey for Water Feature Artist of the Year, and to Carl Petite from Columbia Watergardens out of California for Businessman of the Year. Congratulations to all! I’m learning lots here – appreciate your fine writing Mr. Gannon on this topic many of us are so passionate about. I felt validated when I read your statement, ‘ Keeping Koi is a journey that is labeled a hobby’, (to paraphrase). I’ve tried to explain how they are so interactive & not just someone’s preconceived idea of a fish, but only those who have spent time around them get it. My own spouse is beginning to embrace the journey as well – he always helped me with “”my hobby”, but now I see him joining in. thanks for sharing your zeal & expertise! I’m still looking forward to building the next pond, & getting it right this time! As far as I am concerned Mike Gannon is amazing. Well spoken, articulate, artistic, hard working and generally an all around nice guy who cares and wants to help people have their dreams come true!